Posted on October 21, 2013 by Life, love, laughter, lesbian. One year, I found a photo of Marilyn Monroe, not one that you saw all the time, but a less popular one, and I bought it, hung it on my living room wall. Everyone that came over always said the same thing – Oh, that’s so pretty! So, you like Marilyn, huh? 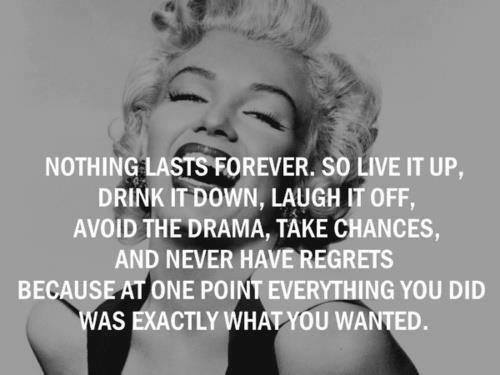 Yep, yep, I like Marilyn. That year, for Christmas, I got 13 (thirteen!) big framed pictures of Marilyn from my friends and family. By the time I hung them all, it looked like a freaking SHRINE to Marilyn in my living room. Thirteen framed photos and/or art plus a plate and an ashtray. So, after that, people would come over, and say, WOW, YOU LIKE MARILYN, HUH? If they said that they liked a particular picture, I would take it down, and give it to them…by the end of the year, I had made 12 people happy, and I was back down to one Marilyn, and not even the one I started with! And that is the one that I still have today. 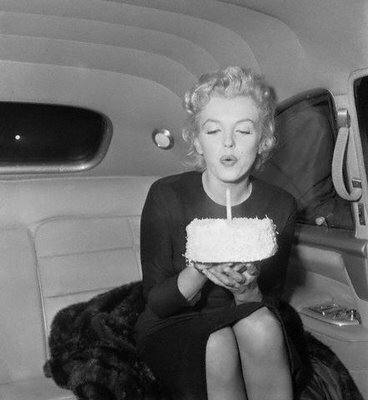 And that – is my Marilyn story.